Supermarket merchandise displays are an important element of successful food retailing. The appeal of the goods within supermarket island freezers, produce showcases, refrigerated meat displays, open floral merchandisers, self-service deli cabinets, dairy showcases, and beverage merchandiser coolers tell customers a great deal about the overall quality of a given supermarket. In an effort to keep these merchandising cases filled with the most appealing products, department managers often have to re-wrap, discount, or discard retail goods that have been damaged by temperature fluctuations and exposure to ambient light and heat sources. This is a costly cycle that can be dramatically reduced by the implementation of Econofrost night covers. 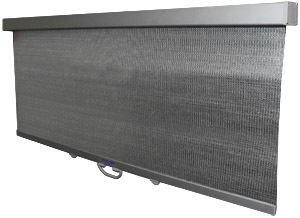 Many stores can recoup the investment in Econofrost night covers in less than one year. Reduced product shrink & discard in addition to the energy savings can generate significant dollar savings for any food retail store operator. 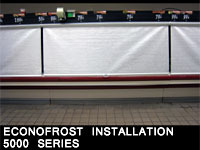 In addition, there are many other factors that can be calculated into the savings that Econofrost night covers generate including the reduced stress on refrigeration equipment, the reduced maintenance and service costs for the refigeration system and the night covers along with the ability to keep refrigerated products cold and aisles warm for greater shopper comfort. But the real reason you should install Econofrost night covers is to take advantage of a longer product shelf-life while reducing waste and increasing your sales potential. If you have any questions or would like to find a local distributor near you, please call 1-800-519-1222 or email us through our contact form.